An exquisite piece crafted by our lead designer, returns the old world style for those who love the classics. 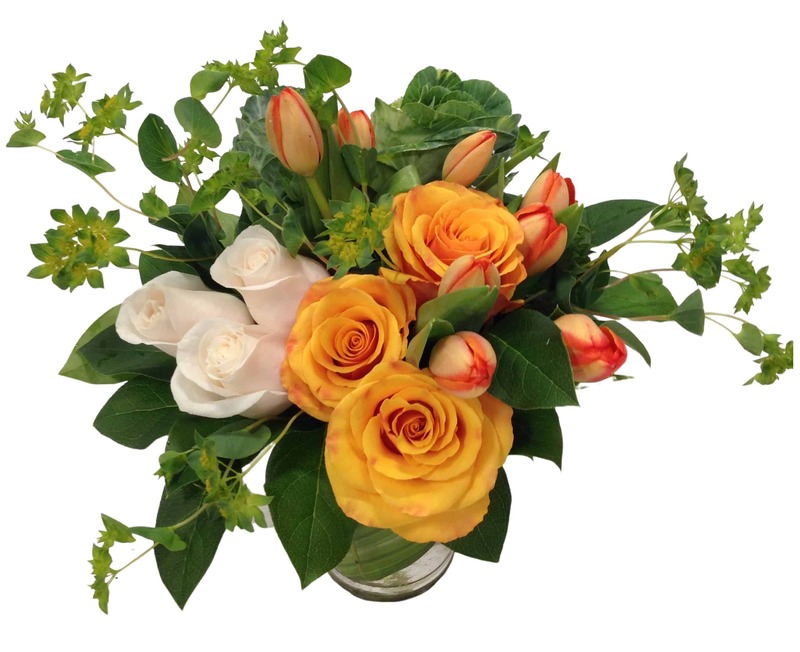 This beauty contains Circus and Jade Roses, Tulips, Lady's Mantel, Bush Ivy and Mini Cabbage. Find a new way to celebrate those special occasions and send whispers of love with this magnificent old world styled arrangement!